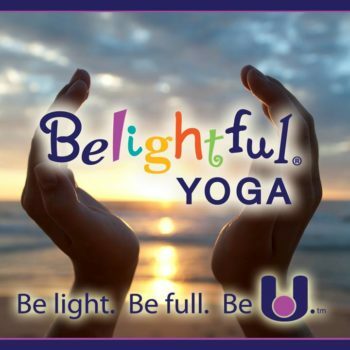 Learn Yoga Strategies to Bring Harmony to Children & Adults of ALL abilities with Belightful experiential workshops. Discover how to integrate yoga tools into your therapy treatments or teaching and thrive as a wellness advocate for greatest impact. Understand ways to create a safe learning environment to effectively support children and families mental, behavioral, physical and emotional well-being. Learn techniques to cultivate mindfulness and instill empathy, acceptance and self esteem. Mindfulness and movement translates to: qualitative results; improved productivity; social and emotional literacy; bolstering overall behavior; and physical and mental health. Belightful’s trainings are customized to meet the specific needs of each school and population we serve, e.g. 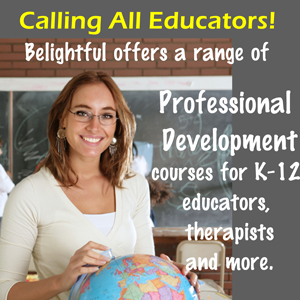 special education teachers, social workers, therapists, physical education teachers. Choose from 1 ½ Hour, Half Day and Full Day sessions. To find out more about our Professional Development Programs and how to schedule them, please contact us.